Our eCommerce Solutions offer full shopping cart on-line stores with secure payment methods. You can choose from a large number of specialised cart templates or we can develop your site from you own ideas. 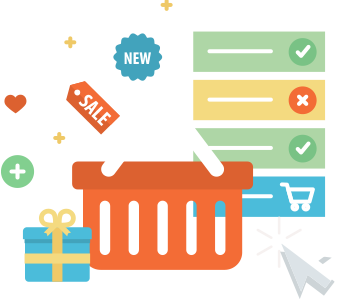 We recommend and use OS-Commerce for shopping cart web sites, this uses secure payment methods, ensuring safe transactions on-line, both for you and your customer. Includes 2 years Domain Names registration. a years website hosting and a years search engine submissions. Depending on the payment method used on your eCommerce site, you may need to have a SSL applied (this is a secured web connection for money transaction purposes). There is an extra charge for this per year but is necessary to ensure transaction security. We will provide you with easy-to-use secure Administration tools to give you complete control of your products, descriptions and prices.